There is nothing like raising edible perennials to get a big jump on the growing season and to help reduce your planting chores in early spring. 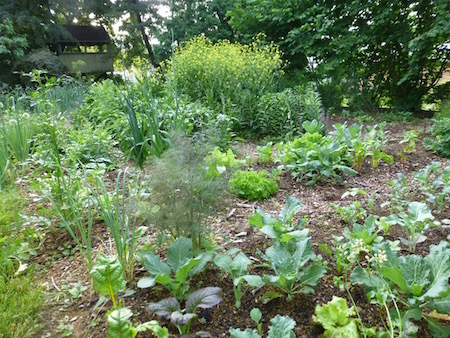 I incorporate traditional perennial vegetables as well as those that are more common in permaculture gardening circles. 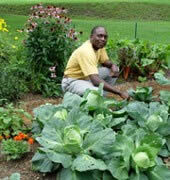 It’s great to enjoy a lush, green garden and early harvests without putting much effort into producing it. Just like with ornamental perennials, once planted those perennial edibles will return year after year with a fraction of the effort required to raise an annual crop. In addition to the time saved in planting, I’m also reaping the benefit of a reduction in the amount of weeding that is required. Many of the perennial vegetable crops start growing very early in the season, have large leaves or dense foliage, and are capable of shading the soil and out competing weed growth. 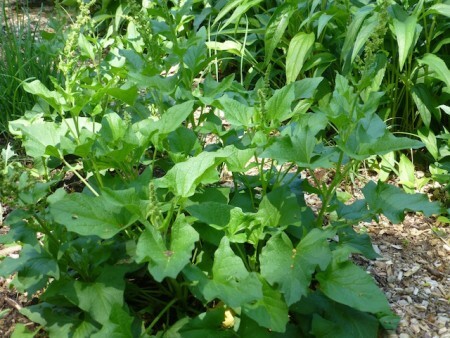 Other advantages of edible perennials include a deep and established root system that is drought resistant and capable of mining nutrients from the sub-soil. They also provide nectar, pollen, and shelter for beneficial insects early during the season when other food sources are limited for them. Many of the perennial vegetables are productive and fruitful, and will gradually spread over time to ensure that they renew themselves and provide new plants to expand their territory if desired. And of course, perennial crops can provide some of the earliest harvests from the garden. 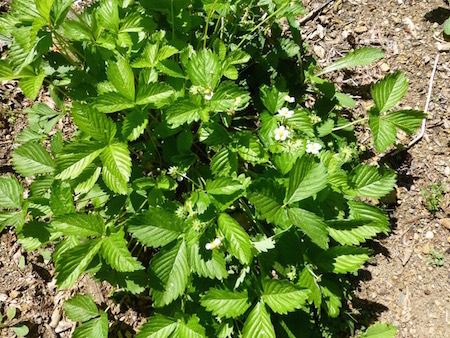 Alpine Strawberries – These are true perennial strawberries that grow in clumps and don’t spread by runners. The fruits are smaller but very tasty, I grow both the red and yellow fruited varieties. Good King Henry – This is a small, attractive perennial green that is care free and not bothered by any insect pests in my experience. The dark green leaves can be added to salads and cooked dishes. 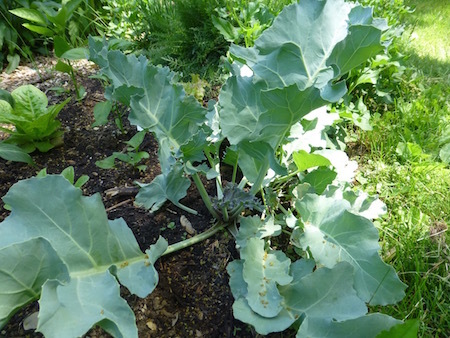 Sea Kale – I grow this one more as a curiosity and have never attempted to blanche the stalks to use as food. 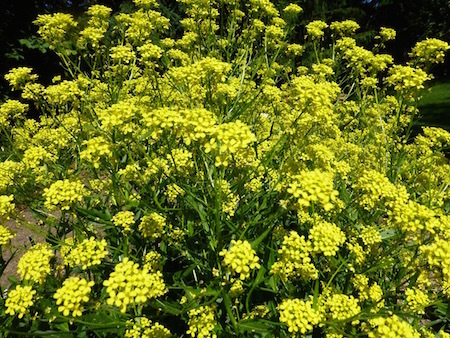 It is an attractive and interesting looking plant, more popular in England where it grows wild and is tolerant so coastal soils. Turkish Rocket – Another perennial leafy green, this one grows quickly and is the lushest plant in the garden right now. I use it mainly as a beneficial insect magnet to help support the beneficials early in the growing season. 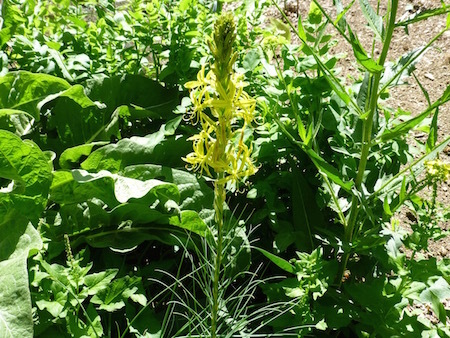 King’s Spear – This oddity is uncommon outside of Permaculture gardens. I like the spiky leaves and the unusual flowers. King’s Spear would be right at home in an ornamental bed because of its beauty. Sun Chokes – Also known as Jerusalem Artichokes, be careful where you plants these because they do spread quickly. 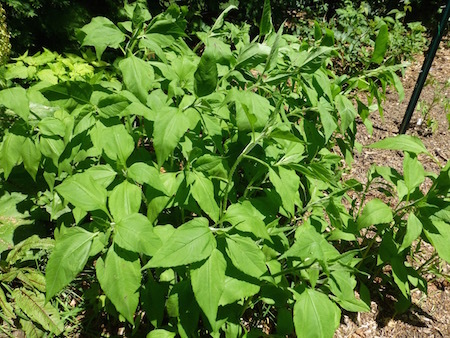 This is a tall plant with a sunflower-like flower and edible tubers that also have some medicinal properties. 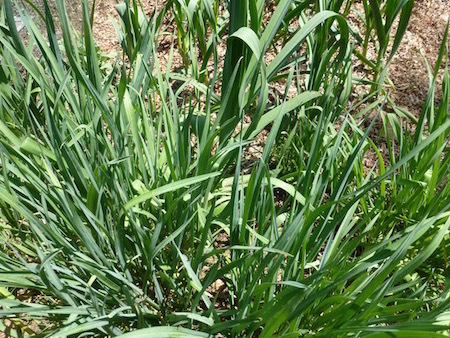 Perennial Leeks – This plant it is similar to the common leek with the added benefit of being a perennial that returns every year. It is very cold hardy and will quickly grow into clumps of plants if not divided. That’s just a sampling of the perennial vegetables and fruits that grow in my garden. 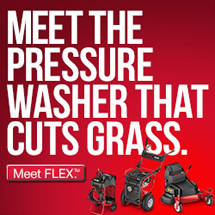 You’ll also find asparagus, rhubarb, blackberries, and a host of perennial herbs, flowers, and native plants as well. I grow the perennials in separate beds or plant them together in dedicated perennial sections of various beds so that I don’t disturb those areas outside of the growing season. So add some perennial vegetables to your garden this year and enjoy many seasons of production with very little additional effort in the way of planting and weeding chores. Start with a rhubarb plant or an asparagus bed, and expand from there into some of the more exotic and unusual types of perennial vegetable varieties.